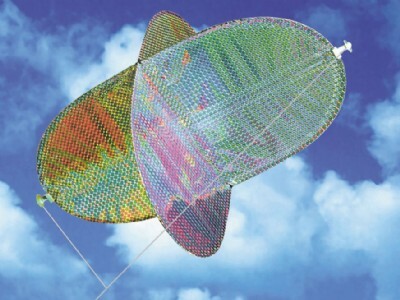 The Daily Telegraph has just listed the Holographic UFO-SAM as one of the best five recreational kites available for sale. Amaze onlookers as the kites flashes and shimmers as the sun catches its surface, the holographic foil reflecting the light in a kaleidoscope of colour. The kite spins as it flies and is an aerial sensation wherever it is flown. Try it now.